CLOSEOUTS. 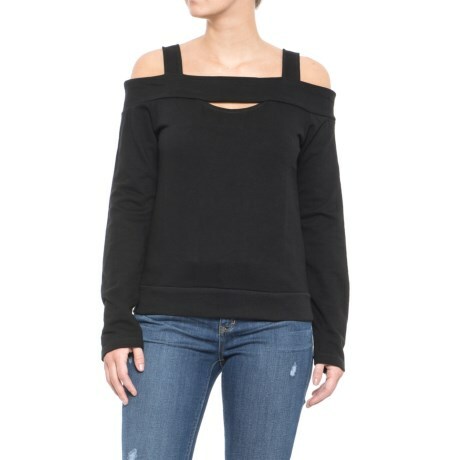 This Alison Andrews Cold-Shoulder Cutout shirt is crafted from a soft terry-knit cotton-poly blend in a fun, modern design that shows off your shoulders and looks great year round. Available Colors: BRILLIANT WHITE, BLACK. Sizes: S, M, L, XL.